Turk Head for Square, Rectangle and Oval Pipe. Tube Size Range: .188" to 6.000" Dia. With our expertise and trustworthiness, we are engaged in offering an optimum quality range of Open Section Mill. Note: The price mentioned above is starting price. 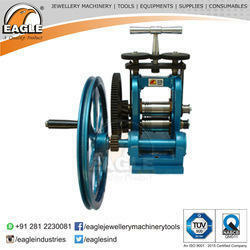 We deal in a wide range of Mill Stand. we are exporter, These machines mostly find their applications in rolling mills and are available in different capacities in the market. 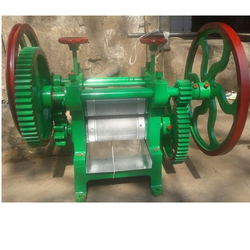 The most important advantage of these machines is that they are used for cutting of split hot ends, scraps and cold bars. With years of industry experience and market understanding, we are putting forth an exceedingly subjective Cold Rolling Mill Equipment at extremely conservative cost. Rolls assembly: Cast steel roller bearing chocks. roller beatings mounted on roll neck with universal couplings and spindles for bar and section mills range suitable for 200 mm to 460 mm mills. We manufacture charging bucket for steel plant, which are used in top loading of electric arc furnaces. Charging buckets are also available with loose "ladle type, " and are offered to clients at competitive prices. We are amongst the better known firms, offering Rolling Mill Reduction Pinion Stands. These are manufactured within a world class infrastructure and have been quality tested on varied parameters. This precision engineered equipment has a robust construction and superior finish. Apart from this, it also has a long service life owing to which it is used across varied industries. Multiple roller entry guide for heavy duty applications provided with central and parallel adjustment of the rollers.